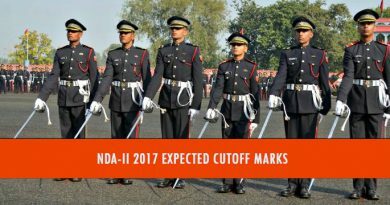 CDS II 2018 Cutoff [Expected] - Major Kalshi Classes Pvt. Ltd.
CDS 02/2018 Exam was conducted on Sunday 18th November 2018. CDS ii 2018 expected cutoff is mentioned in this article which can be downloaded in the link provided below. The last date to apply is 26th November 2018. The exam will be conducted on 3rd February 2019. CDS Exam is for Graduates or for students who are studying in the final year of graduation. This is common information that UPSC conducts a similar exam for students who have passed 12th or who are studying in 12th, called NDA (National Defence Academy) Exam. Only Male candidates can apply for IMA, INA and AFA. For OTA both males and Females can apply. So, go ahead and match your answers with the answer key and check where you stand. If your marks are close to the cut off start preparing for SSB Interview. If you have missed it, don’t miss the opportunity to apply for next CDS Exam which is scheduled on 3rd February. The last date to apply is 26th November.